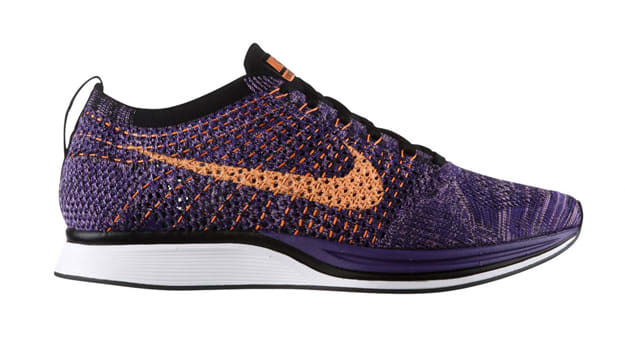 One of the hottest running shoes on the market just got hotter, as Nike has rolled out two fresh color options for the popular Flyknit Racer. The latest colorways—Atomic Purple/Atomic Orange-Court Purple and Neo Turquoise/Bright Crimson-Glacier Ice—provide yet another reason to pick up a pair of shoes that are already at the top of the holiday list for so many runners (we see you @clickmasterflex). Bottom line: You can’t go wrong, no matter which version you go with.